← RESTRICTIONS ON CUBA TRAVEL AND BUSINESS LIFTED BY U.S.
WHAT DOES THE POPE’S VISIT MEAN FOR CUBA? The leaders of three odd bedfellows are coming together this week: a 2,000-year old global institution known as a defender of the status quo, a 239-year old revisionist democratic superpower, and a 56-year old Communist revolutionary regime. How will they move the needle toward change? We are about to find out. 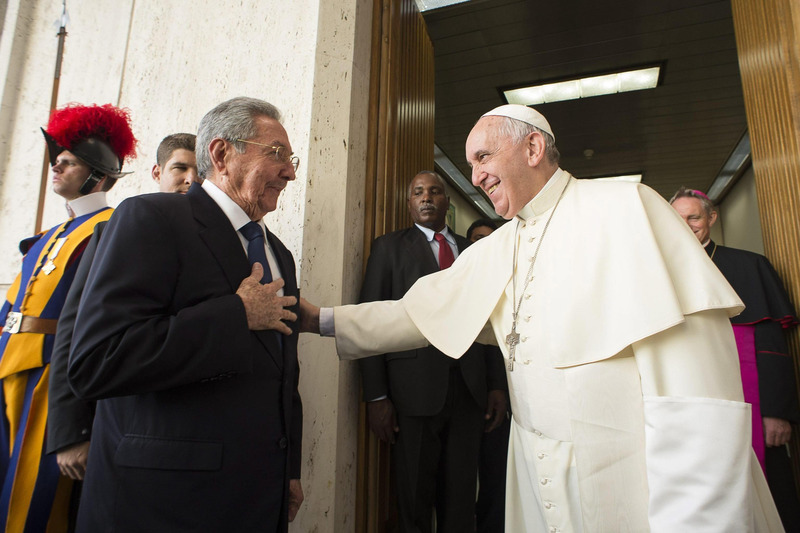 Pope Francis’ visit to Cuba this week—followed immediately by a meeting with President Barack Obama on the pontiff’s first-ever trip to the United States and President Raúl Castro’s inaugural appearance at the United Nations General Assembly shortly thereafter—together offer a compelling sequence of events that can move mountains. Or at least a few boulders from the thorny path of U.S.-Cuba relations. 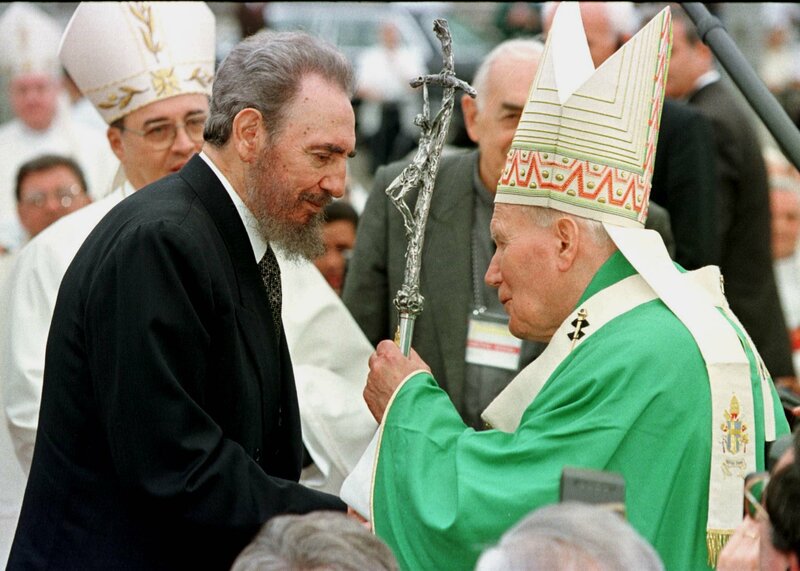 Let’s start with the Holy Father’s visit to Cuba, an island he knows remotely through his many years of service as a leading Latin American bishop and his book on Pope John Paul II’s dialogue with Fidel Castro in 1998. The hugely popular pope arrives in Cuba as an agent of change in at least two ways: as a promoter of religious freedom and a more activist church that is already providing critical social services to Cuba’s downtrodden citizens; and as a key facilitator of the breakthrough in U.S.-Cuba relations announced last December. In the former, Pope Francis builds on the earlier groundwork of Popes John Paul II and Benedict who devoted time and energy to restoring—gradually and incompletely—the place of religious faith in Cuban society. Their man in Havana, Cardinal Jaime Ortega, whose non-confrontational approach has won both critics and fans, has played a critical role in bridging the yawning church-state divide and negotiating the release of over 150 political prisoners. The Pope’s role as “guarantor” of the normalization process between Cuba and the United States, particularly its human rights elements, helps give the White House some political space to push Congress to lift the embargo even in the face of Cuba’s often violent harassment of opposition figures. The Pope also brings an overwhelmingly positive message of reconciliation among all Cubans on and off the island and a humanistic approach to the excessive depredations of both communism and capitalism. The visit should inject another wave of enthusiasm and hope around the possibilities of gradual but positive change on the island. For the Castro regime, the Pope’s visit is another perceived endorsement of Cuba’s standing as a country that punches well above its weight in international affairs. A longstanding critic of the U.S. embargo against Cuba, the Vatican will help Cuba remind the world that the United States should not only unconditionally end the embargo, but pay up for the all the damages it has caused. In case the point is missed on anyone, Cuba this week launched its annual campaign for yet another vote at the United Nations this fall condemning the embargo. The vote may not look as lopsided as previous years if other governments choose to endorse the olive branch Obama has extended to Havana. The Pope himself is unlikely to inject himself in the middle of this fight. A conversion to more Christian treatment of civil society and free expression looks frustratingly unlikely, despite the Pope’s quiet entreaties. 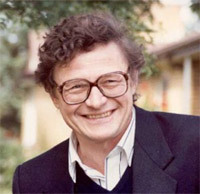 But his speech to the U.S. Congress on September 24, another first for any pope, offers an irresistible opportunity to call upon legislators to consider, in at least moral terms, the benefits of engagement and reconciliation over isolation and punishment, a point that would fit in nicely with his theme of mercy and forgiveness. The same message, of course, ought to apply to the Cuban government and its heavy-handed treatment of its own citizens. 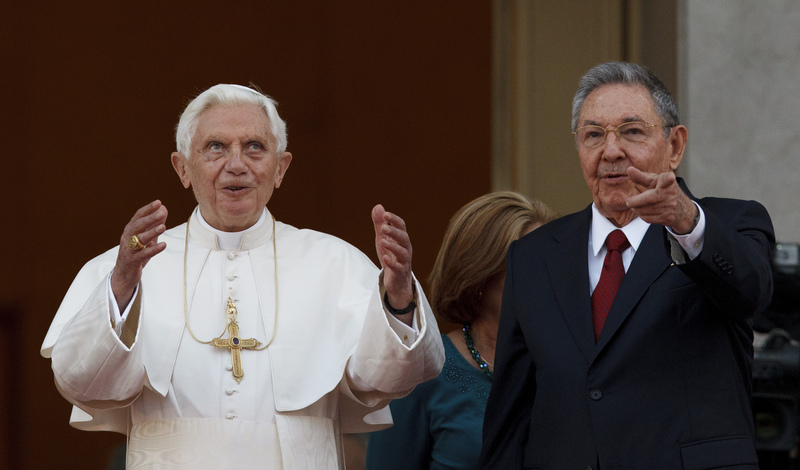 Raúl Castro’s gushing comments of someday returning to the Catholic Church suggests he gets the importance of religiosity in various forms to Cuban society (evangelicalism, Santeria, and Catholicism, among others). But a conversion to more Christian treatment of civil society and free expression looks frustratingly unlikely in the short term, despite the Pope’s quiet entreaties. For President Obama, the big bet to normalize relations with Cuba is shaping up to be a positive legacy the White House will go to some lengths to protect. It is already proving highly popular among Americans of all persuasions and even more popular in Cuba itself. The initial enthusiasm he received—including by other heads of state at the Panama Summit of the Americas last April—has carried the ball forward at a steady clip, as embassies reopened in both capitals this summer and talks proceed to improve bilateral cooperation on several fronts. It won’t. With competing bills in Congress for and against weakening or lifting the embargo, and nearly all Republican presidential candidates aligned against such a move, no one should expect any reversion, sudden or otherwise, to a pre-Castro era. Which is precisely where the three main actors on the stage—the Pope, Raúl Castro, and Barack Obama—want to be: positioned as agents of gradual but positive change. They all hope for a soft landing for a nation transitioning from decades of trauma and triumph to a more stable, open, and—perhaps—more “normal” future. This entry was posted in Blog and tagged International Relations, Religion. Bookmark the permalink.